Chuy’s is beloved by foodies and Tex-Mex fanatics alike. Given the fact that the Caliber office has a Chuy’s addiction, the team was thrilled to partner with Chuy’s to complement their delicious food with new and fresh designs. 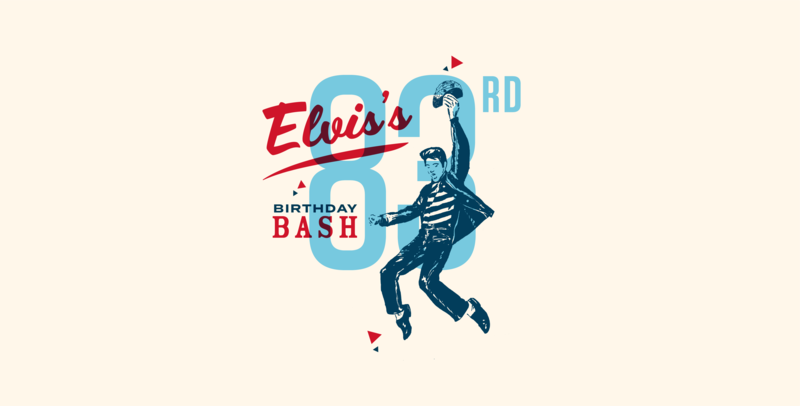 For Elvis’s 83rd Birthday Bash, we created a campaign as energetic and fun as “The King” himself. Featuring playful headlines dressed in bold blues and reds, the campaign highlighted this annual celebratory theme. Caliber designed a menu cover, T-shirt, banner, and cup artwork detailed with dynamic custom illustrations and typography.